The US branch of SEGA have unveiled a new survey which asks fans to determine the next steps for the Sonic The Hedgehog, Yakuza, Valkyria Chronicles and Phantasy Star franchises. The survey takes 10 to 15 minutes to complete and every entry enters you into a prize draw to win up to $500 in gift certificates. You can complete the survey and enter the prize draw by clicking here. 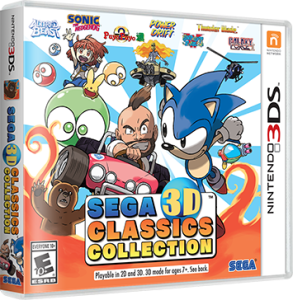 If you’re a SEGA fan based in the US with a passion for any of the franchises listed, this is an important opportunity to share your love for them and get SEGA to act on that passion. SEGA have been making big steps in terms of quality in recent years and that’s been down to a renewed focus on their legacy franchises. 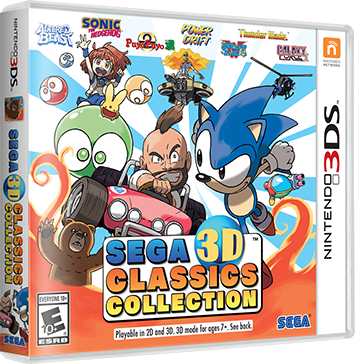 If you want to see the company do more with Super Monkey Ball, Gunstar Heroes, Shinobi, Jet Set Radio, Phantasy Star, Sakura Wars, Altered Beast, Virtua Fighter, Streets of Rage, Puyo Puyo, Shenmue, Golden Axe, House of the Dead, Virtua Tennis and Crazy Taxi then this is the way to let them know. 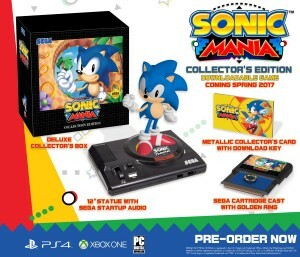 Those lucky North Americans are getting a limited Collector’s Edition of Sonic Mania which includes a massive box with new classic-style artwork, a 12″ statue, a metallic card with the download key on it and a replica Mega Drive cartridge that’s been cast with a gold ring on it. If you’re lucky enough to live in North America or want to pay a big postage and packing fee, you can order the Collector’s Edition from the official Sonic Mania hub by clicking here. BE WARNED: the Collector’s Edition plus shipping to the UK as well as import fees will set you back a whopping $107.35 which currently works out at £81.32 and that’s only if you don’t get a customs charge on top. Also, Xbox One and PS4 download keys are region exclusive so you’ll have to go for a PC version to make sure you can actually play the game. 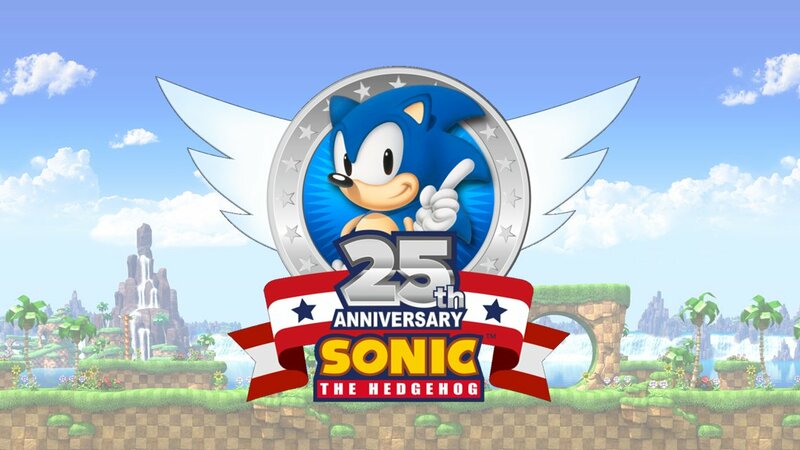 A Sonic the Hedgehog 25th anniversary event has been revealed. The event will take place at the San Diego House of Blues on the 22nd of July. Tickets are available now and can be bought by clicking here. 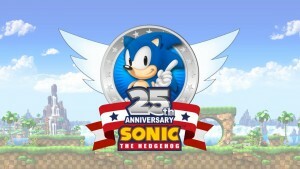 The event was announced at a recent Sonic the Hedgehog retrospective panel at SXSW. 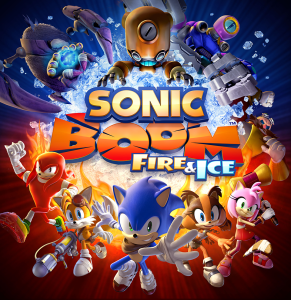 Sonic the Hedgehog social media guru Aaron Webber also hinted at another Sonic game reveal for the event but wouldn’t commit to a definite, “there will be a new Sonic game announcement at this event” so take those comments with a pinch of salt. 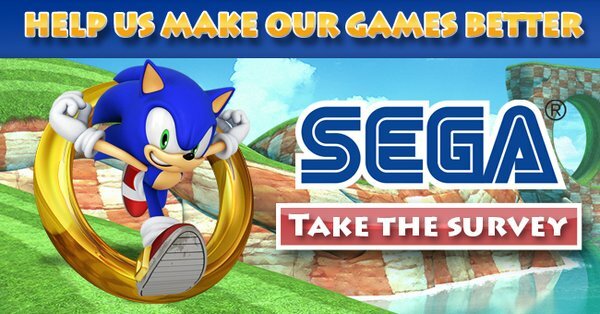 SEGA are now running a new survey which you can get involved in by clicking here. The company are specifically looking for fan feedback in order to, “make their games better”. There’s a whole host of questions in this survey that ask what your favourite SEGA franchises are (both old and new) as well as your involvement with things like mobile gaming. They’ve also hilariously listed House of the Dead and The House of the Dead as separate entries. 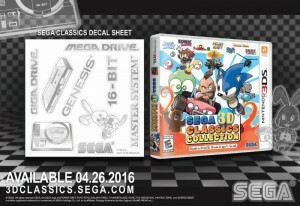 Oh SEGA. This survey is certainly an interesting development that fans of the publisher will want to get involved in. 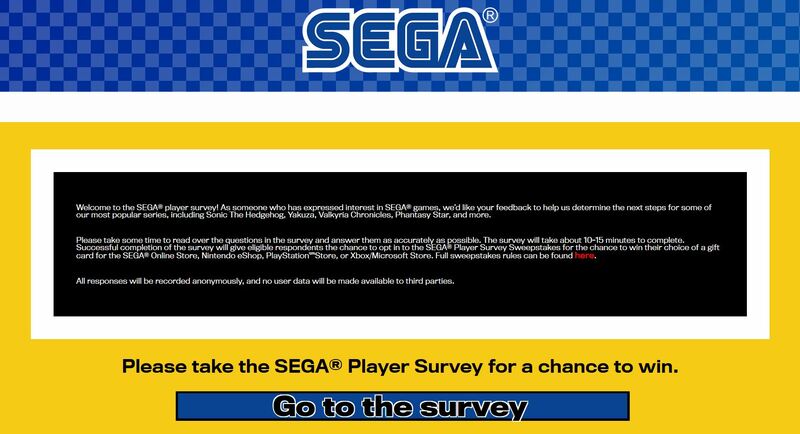 As we have previously mentioned in the past in our Yakuza 0 and the Disparity Between SEGA America and Europe article, SEGA’s Western divisions don’t seem to communicate with consumers very well and an opportunity to give feedback in this survey may help improve matters in the future. All pre-orders and first print editions of the upcoming SEGA 3D Classics Collection on 3DS will come with a free SEGA consoles decal sheet. Got some spare faceplates that you no longer use for your New 3DS? Well why not sticker them up and make them well SEGAry mate! Stick em on your notebooks and sketchpads! Or you can do what I do and never use them, safeguarding their resale value! Now here’s a game I never expected to see on Western shores! SEGA America have committed to bringing 7th Dragon III Code: VFD to America. SEGA have never brought any 7th Dragon games to the West previously so this is quite a shock. 7th Dragon III Code: VFD will lauch for 3DS in America this summer. There is currently no word on a European release. 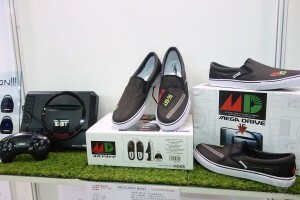 Remember that Anippon range of SEGA console-themed shoes we previously reported on? Well you lucky Americans can now buy them on your shores and avoid the crazy import prices! 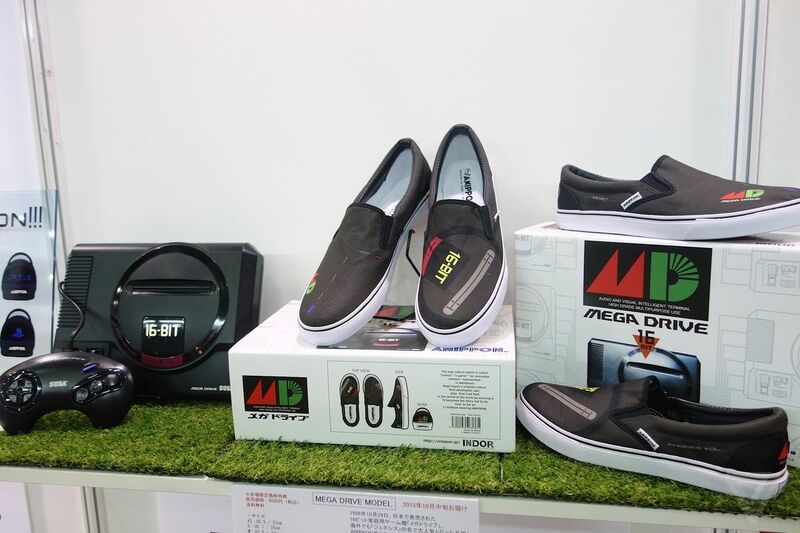 Tokyo Otaku Mode are now selling the Saturn, Dreamcast and Mega Drive designs for $69.99 a pair. Pricey stuff. You also have to figure out your shoe size in the Japanese standard which you can do with a sizing chart. Still interested? Then head over to Tokyo Otaku Mode and place an order! With the announcement of Yakuza 0’s release in Western territories, we’ve been introduced once again to the disparity of SEGA’s American, European and Japanese branches. In this feature we delve into the ongoing frustration that is being caused by the disparity between these divisions and why committing to one Western territory and not another is damaging trust between SEGA and its user-base.